ProSolutions Training is an approved PQAS Online Organization. As an approved PQAS Online Organization, ProSolutions Training is eligible to offer online professional development that is recognized by the Pennsylvania Department of Human Services (DHS) and the Office of Child Development and Early Learning (OCDEL) as "PA Keys to Professional Development approved instruction." Practitioners who access professional development activities provided by a PQAS approved organizations can be confident that the course meets quality standards, for content, follows adult learning principles, and is coded per the PA Core Knowledge Competencies for Early Childhood and School-Age Practitioners. Practitioners will be able to find ProSolutions Training, a division of Care Solutions, Inc. in the PD Registry. Before registering and taking a course, please note individuals MUST FIRST be registered in the Pennsylvania Professional Development Registry in order to receive credit hours for the course. Once a course is completed, practitioners receive a certificate from ProSolutions Training and must keep the original certificate for their records. Keystone STARS will verify the certificate. The completed course may be added to the practitioners Professional Development Plan under "Courses outside of the Professional Development Registry." Please note that these courses will not be added to your transcript, but will count as PQAS hours with proof of an original certificate from the organization. Click the button below to view the online child care courses and training available in Pennsylvania. Learn more about earning the Pennsylvania CDA Credential and Pennsylvania CDA Credential Renewals. Pennsylvania child care training group subscriptions are a great way to train and retain early childhood educators. The Group Subscription allows child caregivers the ability to choose from more than 100 online training courses developed specifically for early childhood education professionals by curriculum experts. The child care facility director or administrator manages the account access and can add and remove staff as needed. It is simple to assign courses to individual or all team members. The Pennsylvania child care training individual subscription is the perfect online early childhood education solution for individuals. This subscription gives access to more than 100 online training courses developed by curriculum experts at ProSolutions Training. Print individual Professional Development Certificates as each course is completed. This is the most economical online child care training option for individuals. 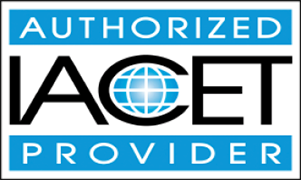 ProSolutions Training has been accredited as an Authorized Provider by the International Association for Continuing Education and Training (IACET) in Pennsylvania. ProSolutions Training coursework adheres to the highest standards set by IACET. ProSolutions Training includes	CEUs at no extra charge with every Professional Development Certificate. You can locate information on your state's Professional Development Registry and Quality Rating and Improvement System at http://www.pakeys.org/.